But if you will seek the Lord your God and search for God with all your heart and all your soul, you will find Them. When you are in distress and those things predicted have come upon you in the latter days, you will return to God and listen to Their voice. For God is compassionate and God will not forsake you. God assayed to go and will take a nation from within another nation by trials and temptations, by signs and wonders, by war and by a mighty hand, and by an outstretched arm and by great terrors to bring you in and to give you their land for an inheritance (Deut. 4:29-38). And it shall come to pass in the last days that the mountain of the Lord's house shall be established and all nations shall flow unto it. Many people will say, come and let us go up to the mountain of the Lord and They will teach us their ways and we will walk in their paths. For out of Zion shall go forth the law and the word of the Lord from Jerusalem. And God shall judge among the nations and shall rebuke many people: and they shall beat their swords into plowshares and their spears into pruning hooks. Nation shall not lift up sword against nation, neither shall they learn war any more (Is. 2:1-4). The Jewish tradition holds that the End of Days will be one of global peace and harmony free of strife and hardship culminating in our knowledge of the Creator. At twenty-two years of age, Jesus’ life was about to change dramatically. The vast majority of his friends and relatives had been married for several years and many had children. For most, the rest of their lives would follow the same script that had been repeated thousands of times. Jesus had known for some time that his script would be different. Life had been good for Jesus since the beginning of his relationship with Miryam and they moved to Capernaum together. It was as though he had been given a vacation from his ordinary pressures and obligations. It was also an opportunity for changing his relationship with his family and that occurred in three major ways: Mary and Klopas moved to Hammath along with Joses and the sisters, Jesus and James grew closer even though their time together was limited to pilgrimage times in Jerusalem, and Jesus got to better know his cousins Johanan, Jacob, and Julia. Joses and Klopas were prospering as the building business boomed near Tiberias. Not only were the Romans building their city, the surrounding villages were also growing. The demand for skilled labor was great and the Nazoreans provided one of the most sought after groups of workers. The Roman and Herodian taxes that most found excessive were largely redirected into building projects and therefore it was a good time to be a builder. In general, the Nazoreans were benefitting from the period of relative peace and the family of Joseph was amongst those who benefitted most. James matured quickly in ways that Jesus admired. Because he was no longer a neophyte priest, James had greater leave of the Temple and when Jesus was in Jerusalem, they spent more time together. Of course, the big news was the new relationship between Jesus and Miryam. Along with the other family changes, they had plenty to talk about, but their discussions tended to gravitate towards both God and Judaism – especially the Jewish priesthood. There were several significant splits within their religion and James was in the middle on most of them: the Pharisees and their Hasidim cousins were decentralizing and humanizing the religion in opposition to the Sadducees who controlled the priesthood and wanted Judaism to remain Temple based and elitist. The Essenes focused upon ritual purity and more orthodox beliefs while opposing the impure and non-authoritative priesthood ruled by the Sadducees as well as the liberalized practices and views of the Pharisees. James was able to see validity in each side but thought all of the factions were misguided. “Isn’t the whole point to serve God? Does it matter more how we decide to be righteous or that we decide to be righteous and act righteously?” His fundamentalist views and unwillingness to choose side otherwise made James very popular within the priesthood and among the people. James had also offered some personal news of his own; the priesthood was arranging his marriage. There was one priest given the role of match-maker or "shadchan” whose task it was to find appropriate wives for the new priests. The process was called Shidduchim and its importance was more than fulfilling the scriptural requirement for procreation – it was a big money-maker for the Temple. The Temple received both a customary fee and a percentage of the dowry in return for its service. The arrangements were quite varied based upon the position of the priest’s family and prospects of the priest. There was no doubt that the selection of a wife for James would be an involved and interesting process. He only knew that the process was underway, but he had yet to be offered a selection. After Jesus moved to Capernaum, he saw much more of his Uncle Zebedee and his family. Julia took such a liking to Miryam and Abihud’s place that she wanted to stay with them and became a regular guest. Johanan and his wife Yaffa were also frequent visitors since she was from Chinnereth and had a sister in Capernaum. Johahan had taken over the family’s business expansion into Hellenized areas (the southeast side of the Lake and nearby cities of the Decapolis) since he spoke the best Greek. He commonly complained of having to spend so much time away from his fishing. Jacob was hard to take seriously. Indeed, he was the family jokester. He was also plenty of fun to be around. Aside from his ability to find humor in just about anything, he was always trying to figure out his next practical joke. His favorite targets were his brother and sister, but anyone was “fair game”. He joked about Johanan’s affinity for the Greeks and drove his parents to distraction by calling Julie “Julia”, the name of the Tiberias’ promiscuous and adulterous wife. Jesus was particularly fond of Jacob’s humor regarding the High Priests – or the “holy sheep fornicators” as he called them. Because of the movement of the Nazorean group to Hammath, the Nozerim Council also moved its meetings. The Council had changed little and had acted even less in the last decade. There had been no significant changes in their divisions regarding the Messiah or the status of the primary candidates. Indeed, the lack of “progress” led some to question whether they were on the right track at all. However, each group had something to focus upon: those who favored Jesus pointed to his unexpectedly becoming a Rabbi, the group who favored James pointed to his remarkably improving stature within the priesthood, and those who favored John pointed to his growing radicalism and zealotry as being “like that of Elijah”. What had changed however was the age of the Council’s members and it was becoming clear that at least three new members would be needed in less than three years. For the Nozerim Council, such a turn-over had never happened before. This involved Jesus for two reasons: first, he was finally asked to join the Council and second, the new members could break the stalemate that had paralyzed the Council’s direct Messianic actions. Jesus reiterated his previous position and suggested that his brother Joses be chosen in his place. However, the Council thought Joses was too young and too independent minded to be selected and chose instead Yochanan of Bethsaida - another ardent supporter of John the Baptist. Within a few months, the second and third deaths occurred among the Council members and a new order emerged with their replacements. The second new selection was Onias bar Zakkai of Bethlehem (the Galilean village) who was considered neutral in regards to the messianic questions, but who also became a supporter of John. And finally, the third new member was Simon bar Yehuda from Kerioth. This choice was to prove fateful for two reasons: Simon turned out to be far more “independent minded” than Joses and his son Judas was to become a key follower of Jesus. These changes to the Council’s membership became the catalyst that changed two lives directly and all of human history indirectly. Son of man, set your face toward Gog (the lands of the North) and prophesy against them. I will turn you about and put hooks into your jaws, and I will bring you out, and all your army, horses and horsemen, all of them splendidly attired, a great company with buckler and shield, all of them wielding swords. After many days you will be summoned; in the latter years you will come into the land that is restored from the sword, whose inhabitants have been gathered from many nations to the mountains of Israel which had been a continual waste; but its people were brought out from the nations, and they are living securely, all of them (Ez. 38:1 ff). Then there will be a fourth kingdom as strong as iron (Rome) inasmuch as iron crushes and shatters all things… so some of the kingdom will be strong and part of it will be brittle. And in that you saw the iron mixed with clay, they will combine with one another in the seed of men; but they will not adhere to one another, even as iron does not combine with pottery (Dan. 2:40-43). Reading “between the lines” and adding claims of divine inspiration, those seeking to lead others into their folly used such dreams and interpretations of dreams to convince others to give up their possessions - and sometimes their lives - for these false beliefs. When Honi , the leader in Qumran, learned of the Council’s new direction, he called for John and they had their final “falling out”. John had become increasingly critical of Honi and his prophecy based philosophy and had made his views known with increasing openness. Honi’s focus upon the Jewish High Priesthood and the preparation for a warrior/kingly messiah seemed misguided to John who had accepted a new philosophical and theological idea – a universal Creator God who wouldn’t care about religion, ritual, or human traditions. John bristled at the idea that men should serve religion and religious leaders instead of seeking to serve God directly. He believed that God spoke to all humankind equally and impartially with one unifying message: turn away from the old ways and seek God within yourselves. When it became apparent that their philosophical and theological differences were incompatible, there remained an ethical dilemma for John: he had sworn an oath to the group and had agreed to obey their rules and keep their secrets. One group of those rules were specifically intended to make it difficult for people to leave the group and severely restricted how one could live if they left or were kicked out. Because such oaths were taken most seriously, John would follow its dictates: he would keep their secrets, live simply, eat from the wild, and dress humbly. But that wouldn’t prevent him from offering his opposing message. John’s dispute with Honi was well known among the Qumran community and their separation divided the Yahad. Only three others, however, had the courage or commitment to make the break with John and live the life that such choice required. First to join John was his best friend, Yochanan (also “John”) bar Jacob of Cyprus. Andrew also made the choice to leave Qumran since he had great admiration and affection for both John and Yochanan and had never cared much for Honi. However, he was quite concerned about how his family might view his choice. The third member who split from the Qumran community was more surprising: Bannus bar Nobeus. Bannus was not only older than the others, he didn’t seem to share their views on several key issues that were at the heart of the differences between John and Honi. Bannus, like Honi, believed that God controls us and uses us for mysterious purposes and thus our destinies are predetermined by God. Their focus was centered upon preparing to become the holiest humans favored by God in the quest to overcome evil and sin. They viewed the Jewish people as being God’s chosen people, the Israelites as being the chosen Jews and themselves as being the deserving chosen Israelites. With the end-of-times approaching, Bannus sought to prepare himself and other Jews for God’s judgment through ritual, asceticism, and devotion. “What will we do?” Yochanan wondered aloud several times as they walked northward. The feeling of separation sank deep within them since they had all belonged to the Qumran community for most of their lives. But John didn’t answer and the others didn’t press him. Their brisk pace made it seem like John had some clear and urgent purpose in mind and their trust in him was great. All he had told them is that they were going to Jericho. Walking through the night, they arrived early in the morning at the home of Lazarus. They were greeted warmly and there was no need to ask why they were there. Lazarus (and the Council) had been expecting John to separate from Honi and the Qumran community for a couple of years. That John had chosen to head directly to Lazarus was the Council’s hope and plan. However, Lazarus was surprised that only Andrew, Yochanan and Bannus had joined John. John would have several other surprises for Lazarus. Lazarus and John’s new followers listened in awe as they watched the transformation before them. As the clarity of his mission came upon him and the strength of his commitment solidified, an aura enveloped John that each viewer could not miss. Each, however, would see it in their own way. Lazarus believed that John was the Messiah and just wasn’t ready to reveal it – or perhaps didn’t realize it yet. Andrew saw it as the same type of transformation he had witnessed in others as they took the oath of the Qumran brotherhood – an unfolding of personal character that only comes with acceptance of one’s purpose and a commitment to some greater purpose. Yochanan saw a mysterious or “spiritual” change that seemed to imbue John with focus and will. And, Bannus saw what he feared – that John, the one he thought might be the Messiah, was being overcome by evil forces in order to turn him away from his mission. What surprised Lazarus the most was John’s mention of the Mt. Carmel brotherhood, also known as the “B'nai-Amen”. Honi was the leader of the “B'nai-Zadok” (Qumran) brotherhood and although both had origins in the Ossaean sect of old, the two groups were now more than opposing factions. It was now clear that John was moving away from Honi and his group and moving towards the Nasorean group. For the Nozerim, this was problematic in two ways: their neutrality would be more difficult and their desire for unification would be undercut. Unbeknownst to John, he had essentially been placed with Honi and the Qumran brotherhood as a means of bridging the two groups and demonstrating the neutrality of the Nozerim. When Herod killed John’s parents, the orphaned boy was secreted from Jerusalem by the Nozerim and moved to the home of Lazarus’s uncle in Jericho until the Nozerim Council could decide how to protect and nurture him. That was when Lazarus had first met John, as a boy himself. He was not aware of the political and religious backdrop, but he could see that everyone thought that John was special. All Lazarus saw was a shy and saddened boy who had withdrawn into himself. Lazarus was delighted to be invited along with his uncle when they took John to Qumran and it was during the trip south that John and he became friends. He also remembered the trip vividly because of the way his uncle treated Honi and because Honi treated both John and him with special regard. The white haired and bearded man that Lazarus had previously heard his father and uncle speak of was obviously a man of great importance and stature. Thus, when Honi gave the boys a grand welcome, he felt honored. Over time, Honi became like another uncle to Lazarus and he always welcomed the chance to visit Qumran to visit both John and Honi. When his uncle died and his father and another member of the Nozerim Council approached him with the surprising offer to act as liaison between the Council and the Qumran brotherhood, it seemed like destiny was at work. But as he learned more and more about the Council, he also learned the scope and depth of man’s influence over destiny – including his own. Now, listening to John, Lazarus understood that a group of plans were coming to fruition even though he didn’t know the details of most of them. He also had a sense that the plans were unfolding differently than expected and that John was the reason. “How will you do those things?” Lazarus inquired of his friend. John merely smiled and replied “I’m not sure. I am only sure that it will come to me.” “Then what will you do until it comes to you?” “I was thinking about that along the road coming here and decided that I should ask you.” With that, Lazarus smiled and the group laughed – everyone except Bannus, that is. The remainder of the day was spent resting and getting better acquainted. In listening and observing, Lazarus learned that John’s followers knew far less about his plans than he could imagine – they really didn’t know what to expect and were blindly trusting John to set the course for the rest of their lives. Honi believed that God was seeking to build a new Kingdom on earth accepting only those Jews who were ritually cleaned through proper sacrifice and that only the proper priests could offer that sacrifice within a re-structured “Temple”. John believed that God had more interest in the quality of people who sought righteousness than in their obedience to traditions or even their origins. Honi sought to prepare the chosen people for the coming “war” and was building what he thought was the cadre of leaders who would fight that war. John wanted to help people live righteous lives towards one another and towards God through “teshuvah” (repentance), the turning away from sin and towards obedience to God’s Law. Honi required that those who responded to his exhortations undergo ritual and frequent immersion in water (baptism) whereas John was sure that the cleansing of the "soul" resulted from the choice of repentance and not from “baptism”. Honi viewed baptism as a ritual or righteousness while John saw baptism as a consecration of the body, thinking that the "soul" was already cleansed by means of repentance – offering the repentant both the possibility of forgiveness and ritual purity. Honi followed the traditional thought that God’s Kingdom was to be an earthly rule with God as Lord and Master over that realm. John thought the traditional idea was childish and even silly – God’s kingdom would not be earthly and would have nothing to do with a Divine being mastering over humankind. As John saw it, the entire focus of the Qumran group was upon restoring their prominence and power so that they would find favor with God in the soon-to-come end-of-days. He saw their quest as self-centered and bound to a view of God that held no basis in reality. While his views about God were certainly incomplete, he felt confident that God was much more than traditions suggested and more than the priests were preaching. Something inside him was shouting that God had a message and a task for him – he just hadn’t yet taken the time to listen. The three followers were torn by their desire to remain with John and to see their families. But John made it clear that they weren’t welcome to go with him. Lazarus was also torn about what he should do – he knew that his news must be delivered to the Council as soon as possible and he also thought that maybe he should stay with John – the Council’s Messianic front-runner. John settled the question when he took Lazarus aside and told him: “Tell the Council that I am not their Messiah, that I have my own mission which they will learn about soon, and that I don’t know who the Messiah is, but when I do know, I’ll make sure they also know.” The two men smiled at each other knowingly – Lazarus had revealed his “secret” role for the Council at the first opportunity. “What exactly do you have in mind?” he asked in private. 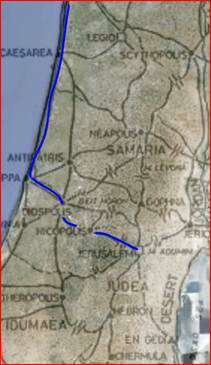 John decided to take the longer “wilderness” route from Jericho to Jerusalem; in part because he wasn’t in any hurry and in part because he didn’t want to be around a bunch of people. He greatly enjoyed the long stretches of solitude and it was a perfect day for the long walk. When he arrived at the summit of the Mt. of Olives and could see the city and its glowing Temple, he sat and watched the sun setting feeling entirely detached from the view in front of him. Instead he was taken in by the magnificent colors and beauty of the sky. (From Qumran, the western view is uphill and sunsets were never this grand). It was during the peak of his awe that he had his first epiphany – a sense of God’s presence and its ensuing peacefulness and joy. When John’s trance ended it was already dark and he had no idea how much time had passed. He looked to the stars and moon and concluded that it was approaching the middle of the night. As he gazed at the sky and marveled at the beauty of the heavens, he had his second absorption. It was much shorter than the first, but it was so shocking to him that he spent the rest of the night pondering it. “How stupid we have been!” came from his mouth involuntarily several times. The distant sound of the Temple gates opening interrupted his thought and John saw the early light striking the Golden Gate as it opened. “Nothing man can make could match the beauty of God’s simplest creations,” he thought as he stood and dusted himself off. The ”permanent” Temple priesthood consisted of some 300 full-time “priests” who fell into four major categories: the appointees, the delegates, the nepotants, and the functionaries. All these positions were largely hereditary (just because you were descended from Aaron didn’t guarantee a “job”) and many were ceremonial. All of the top positions were appointed and most were sources of great wealth. Below them were the delegates – representatives of the major families who had managed to keep their privilege through tradition or to buy their privilege from the corrupt. As seems universally true in bureaucracies, there were those selected because they had family or friends in high places. And finally, there was a requirement for a few people who were skilled or knowledgeable enough to actually get things done. James bar Joseph was admitted as an apprentice to the Temple priesthood because of his family, but he soon made a name for himself as one of the few in residence who deserved the title “priest”. Within the ranks, he was deemed “the Just” and among the people he was “the devout”. No one in the collective memory of the priesthood had so distinguished themselves and whenever some judgment was needed to appease, James was called upon to give it because whatever he decided would be viewed as fair, well-considered, and proper. More so, since he spent more time in prayer and study than anyone else, he was viewed as “close to God”. John thought this was a rather odd arrangement, but had heard of other strange things about the Temple and its priests. As he looked around he saw nothing holy about the place and had no sense of God’s presence. Leaving the Temple itself, he was even more disturbed by the courtyard, where it seemed more like a Greek circus or a Persian bazaar than hallowed ground. He hurried out of the place and into the city. Although he had lived there for the first few years of his life, he found little that seemed familiar. There was plenty to see and do in the city and John spent the first part of the day wandering within Jerusalem’s walls observing its people more than its new structures. He didn’t like what he saw – those who lived inside the walls were the wealthy and they allowed the poorer to enter their realm only so that they could more easily buy the things and services they wanted. The city was dominated by commerce and he found it even less holy than its unholy temple. Outside the walls was even worse. The city was flooded with workers – both Jews and “Kittim” (the derogatory slang the Jews used for “foreigners”). There were piles of dung (human and animal) everywhere and the stench was oppressively obnoxious. The slave crews that were removing the dung roamed the streets with their smelly carts creating the only open spaces in the otherwise packed streets. Men trying to move goods and women trying to do their chores were all squeezed together in a strange dance that John found depressing. He couldn’t understand why people would choose to live that way. He was so anxious to get away from it that he gave up on his idea of looking for family and headed back across the Valley of Jehoshaphat (Kidron valley) towards the Mount of Olives. John was offered traditional food and drink but he explained that he was under a vow and took only water. They talked for almost an hour before it was apparent that the elder was sure he was the John bar Zacharia. Only then did he ask the question he had held in reserve the whole time: “Have you heard of Honi, son of Onias?” John smiled because of the delicacy in which the question had been preserved and answered: “I have been his ward since I was young,” with intentional vagueness. Again the elder showed his appreciation for the answer and its affirmation of both John’s validity and care in replying. But then, there was an announcement and someone else entered the tent with a flurry. They had never met but both men immediately knew they were related. The white haired man looked at his nephew with astonishment and affection – he had not seen him in 15 years. John saw his father in his uncle’s eyes even though he had last seen his father when he was only six years old. It took a moment for John to remember his name: Eliud bar Echim. Their embrace was warm and comforting to both and it was followed by an equally warm greeting between Eliud and their host. It was then that John realized he hadn’t been told his host’s name and he was surprised when their host called his uncle “Lucius”. “Cousins”, John thought. If these were his uncle’s cousins then they were also his. It seemed more than strange to suddenly have so much family. He gave them a new gaze and saw new warmth in their eyes. There was something very comforting about having such connections. “It doesn’t seem like mere chance any more. I wanted to get away from the noise and stink of the city and just walked into their camp.” The men nodded knowingly – it was clearly God’s Will that John find them and they all be reunited. The men caught up on almost two decades of news over the next few hours. They didn’t press John for information about his life and the fact that he volunteered little affirmed what the others suspected: that he had been in Qumran with the secret group led by Honi. They knew little about the group, but its existence was known among the Essene elders. Similarly, the group was aware of the Noszerim Council and one of them had secret close connections with it. He knew of John’s special status with the Council, but couldn’t say anything about it - even between this group of family. What John did tell them again was surprising – he was in Jerusalem specifically to meet with James. Before they ran out of time, Lucius advised John that he had other family in Jerusalem who would love to see him and invited him to visit his home within the inner city. John thanked him and declined to commit to a visit since he had other ideas running through his mind. He did agree to have Lucius walk back through the Temple with him since it was on his way home and John would not be rude to his uncle. As the sun dropped lower in the sky, the gathering broke up with family familiar departure hugs and sincere hopes of rejoining again. One of the cousins joined John and Lucius as they left the camp since he also lived in Jerusalem. When they reached the road where he was expected to go the opposite direction, he asked if he could join them. Lucius agreed before John had even given the idea consideration and so the three of them headed along the main road towards the Golden Gate. “John, I know that you have been away for some time and perhaps you are not aware of some of the things that have happened and are happening here in Jerusalem. For now, you should know that there is great danger for you if the wrong people knew you are here. Both the Herodians and the Hasmoneans are working quietly to oppose the messianic movement – and by opposition, I mean that they readily kill those within the movement that they can; just as Herod had your parents killed. I beseech you to keep your identity a secret from anyone who might not be a friend.” He looked to John for confirmation that he both understood and agreed and John nodded again. It hadn’t occurred to him that coming to Jerusalem might endanger his life – even though Lazarus had said something about being careful about whom he talked with. This isn’t Qumran, he reminded himself. John had to ponder that for a minute and realized he didn’t have an expectation – only a need or desire to meet with him derived from a vague inner sense that he should. “I felt that there was some reason for us to meet, but I don’t know what it is.” Lucius smiled at the simple honesty of that answer. “Then you should meet. And, you should know that James is a brother and a friend of us all. His importance to the Council – and perhaps to our people – cannot be overstated. You must not jeopardize him through word or deed.” The ominous tone used by Lucius couldn’t be missed and John considered his warning carefully. By now they had already reached the Golden Gate and were entering the huge courtyard. Its daily routine was coming to a close and the many vendors were closing down and moving out. What struck John the most was the different smell from that of the morning – the morning smell was that of new fires and fresh incense in moist and cooler air whereas the evening scent was that of burnt flesh, blood, people, and old incense in warm dry air. His dislike of the place and discomfort within it was growing rapidly. “Do they really think this serves God?” he said aloud. Lucius and Linus looked at each other with some alarm and Lucius drew John to a stop: “This Temple is the home and source of great wealth for the most vile and violent men you are ever likely to encounter. They have spies everywhere here – and if one was to hear such blatant ‘blasphemy’ spoken here, you would be arrested and stoned to death. It would be a grave mistake to underestimate the evil nature of these men – or their power and influence.” The expressions of both men said as much as Lucius’ words and John got the message. They exited the Temple grounds via the West or Kiponos Gate where they went separate ways. Linus had explained where his house was (in the Essene District) and invited John to stay there anytime he was in the city. John thought it was interesting that Lucius offered no such invitation. The new dwelling house (dormitory) of the priests was still under construction beneath the Temple courtyard so John went to the older building just west of the Temple and waited at the “guest” entrance. He didn’t have to wait long as he heard the door open and turned to see James coming out. They stood face to face for a moment and gazed at each other before embracing as cousins. “Shall we walk for a while“, James asked. James thought about that for a bit and then returned to John’s prior question: “Lucius is a man of many skills, plenty of powerful connections, and substantial wealth. He moves among various groups, factions, and centers of power with ease. He is both the Council’s chief spy and their spy coordinator. I believe he was once offered a seat on the Council and he turned it down because he thought he would be more useful in this role. You may trust him as I am trusting you with this information.” John considered that and wondered, “Why do you trust me – we’ve just met.” James smiled affectionately and replied, “Because I already know you well – I see the spiritual power that you possess and know your role.” John was surprised, and not surprised. He suddenly understood why he had come to Jerusalem to see James. They sat in silence while James organized his thoughts. When he spoke it was with a more subdued voice: “You have a powerful message to share and there will come someone who you must share it with. You will know him when he comes to you and you will know when it is time for him to move on. You will also know when it is time for you to move on. Stay true to your instincts and your purpose.” “I am, as yet, unsure of my purpose.” “You are one of the harbingers of the new era; you will point the way.” That statement sank deeply into his soul and harmonized with it. Its truth was apparent with a certainty that John had never before experienced. Such statements were so far removed from what John was accustomed to that he had trouble absorbing them. He was ready to ask for further elaboration when James stood beside him. “I should return so that no suspicions are raised.” As they walked, James broke a solemn silence: “I don’t think that we will meet again – I feel that emptiness already. I also feel that you have been chosen because you have the strength and desire to fulfill your purpose.” John could hardly speak as he was so deeply moved – both by the quality of character he witnessed in his cousin and by the power of his words. But he did manage to say “I have heard of people being touched by God, but I have never before met one.” They parted without further words – neither needed them. It had been another long day for John but he couldn’t wait to get away from the city. He didn’t want to head back to Jericho and although he lacked clarity about where he was going, he headed north out of the Damascus Gate. It was almost dark, but there was a large moon above and John just started walking. He walked past the major junction leading to Emmaus and through the overflowing villages between Jerusalem and Ramah. When he reached the junction where the roads to Antipatris, Neapolis, and Archilalis met he wanted to get away from all the people and without giving thought to where it might lead, he followed the road westward. Among the many indignities inflicted by the Romans on non-Romans in occupied lands was the power of soldier to compel locals to carry their heavy pack (or “sarcina”- ~70 lbs.) for up to a mile. Those living near the bottom of hills were particularly abused in this regard. On the 32 mile route from the Great Sea to Jerusalem, there is a vertical gain of over 2,000’ in a 6 mile stretch. John woke to early morning light, uncomfortable on the hard and rocky ground. He had been exhausted and although the edge of his hunger had worn off, he was thirsty with an empty wineskin. He scanned ahead hoping to see signs of a village, but saw only rolling hills smoothing out into the Plain of Sharon. A narrow line of dark blue water blended into the morning sky at the horizon. 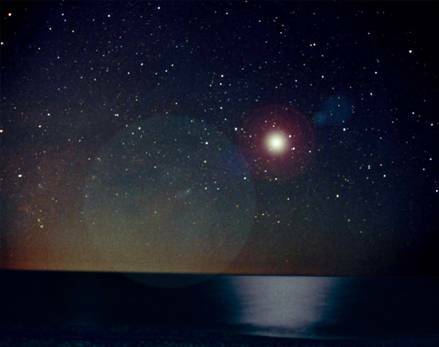 He could still see a few stars and although the air coming off the sea was warmer than the morning desert air, he felt chilled. After one last admiring look at the morning glow, he took off down the hill towards the road. Turning to the west, he walked briskly downhill feeling light on his feet and heavy with thought. In his sleep he had thought of something that seemed profound, but now he couldn’t quite recall it. It had something to do with water, but that seemed likely to have come from being thirsty. Those thoughts led him to memories of Qumran and the frequent bathing practiced there. After a couple of days on the road and his time in the city, he felt like he needed a good bath. With that thought came another, the one he had while he slept – what we all need is a good cleansing, a cleansing of the soul. The sun rose before John reached a village with a well. His mind was racing with thought as he pondered “the cleansing of the soul”. He was so preoccupied that he almost walked past the village, but a small clamor caught his attention and drew him away from his thoughts. A small troop (or “contubernia“) of Roman soldiers had stopped in the village to partake of its water – and whatever else they might take. The rules for the occupying soldiers were rather rigid but were inconsistently enforced. Thus, the locals always had reason to fear the Romans and avoided them as best they could. John was seeing the results of unavoidable contact. Since he hadn’t seen a Roman soldier the entire time he was in Qumran, he had little knowledge of them and was interested in this event. While they talked, John had approached silently and when he spoke, it startled the soldiers: “I’ll carry his load.” They turned reflexively with their weapons ready and looked upon the rather shabby and skinny looking man who had spoken. Just as quickly, they saw no threat and relaxed, but continued to stare it him as if he was some aberration. “Who are you”, bellowed the ranking soldier. “Just a traveler passing through looking for some water.” “Where are you headed?” “The Sea”, was the only quick answer John could produce, since he had been looking forward to seeing the “sea without end” all morning. “And you are volunteering to go back up the grade having just come down?” “If it pleases you, yes.” The soldier laughed with a deep snort and replied: “Why aren’t the rest of you Jews like this one. We’d all get along much better.” He snatched the pack from the old man and handed it to John, “Get your drink, we leave soon.” John caught the grateful expression of the old man and then an even better one from the young woman as she helped him away. There were three other Jews carrying loads, but they walked in silence. The trip back up the grade was laborious, but only took a few hours at the military pace. Seeing that they had exhausted their pack animals, the leader unceremoniously relieved them of their loads and sent them back down the road. The two oldest men were so worn out that John helped them both. They managed brief introductions wasted no energy on talking. That changed unexpectedly when they came upon two women coming up the hill – one of them being the one who argued with the soldier. Without saying a word, they each took one of the elderly from John and continued back towards their village. John stood there momentarily unsure what to say when the woman looked back and said authoritatively, “Come along and be our guest.” It was neither an invitation nor a request – it was a command. Women were an even greater mystery to John than Romans. He had seen them infrequently and had not really spoken to one since he left Jerusalem as a child. Now, all of the sudden, he had one who would hardly stop talking so he could answer her stream of questions. Her name was Tabitha and it was her grandfather Solon that John had helped. By the time they reached the village he felt like he knew her entire life story and she knew just about everything John was willing to tell her. She was a master of being persistent without being pushy and it was apparent she knew that John was holding back. Their return to the village was a relief to many, including and especially to Solon. There were a surprising number of people –especially men - in the village compared to earlier. John was greeted as a friend and hero of sorts and he was introduced around by Tabitha. Most of the people he was introduced to offered him some small gift – usually a food item – that he accepted graciously. Tabitha had already made it clear that he was staying for a meal and the night and he resolved to break his fast just to be polite. The evening was an experience John would never forget; he had never been around “ordinary” people who simply had fun together. He had experienced the strong sense of community at Qumran and there was even occasional entertainment, but never the kind of joyful fun these folks had. After the small community feast, there was music, dancing, storytelling, and plenty of wine. And then there was Tabitha. It was soon apparent that she was no ordinary woman as she was more boisterous and less subdued than the other women. The wives deferred to their husbands almost as servants would. The unmarried girls were quiet and withdrawn. Tabitha seemed to be the only unmarried woman in the community. But there was more; she had both wit and confidence that she shared freely and she was treated as an equal among the men. John watched Tabitha’s social interactions as both an interested observer and as a student. When it came time for the party to end, John saw that Solon had already retired and he felt more than strange when Tabitha led him to their small house. The lamp inside revealed just how small the place really was, but there was a small platform above where they could hear Solon snoring. “I hope that you can sleep with that,” Tabitha joked. “If you would like to clean up, I’ll go get some more water.” This was new territory for John, so he again accepted out of politeness. He did; well enough that he didn’t hear Tabitha get up in the darkness and leave. Solon woke him with his daily morning grunts and groans and took a moment to remember who John was. Then he was again effusively grateful. “Tabitha should be here shortly with our breakfast. She helps a neighbor get her boys off to work and then cooks for an elderly couple. She cooks for us while there and brings the food.” And, as if on cue, Tabitha arrived with a basket and a pot. The bread and tea were delicious and John was more than hungry as his stomach was back in business. John watched as she worked and admired the soft and subtle efficiency of her movement. She noticed his gaze and smiled. It was pure magic. “Is there some way that I might contact you – perhaps we will be in Jerusalem at the same time during a festival?” Until Tabitha asked that question, John had no inclination or intention of ever returning to Jerusalem. He didn’t think there was any likelihood of their meeting again, but he gave her the directions Linus had given him and suggested that Linus would know how to contact him. “Should I say that my message is for ‘John’ or will he need something more to know whom I’m referring to?” John smiled, “I am John bar Zacharias, friend of Lazarus. That will be enough detail for him.” She took his hand, kissed it gently, and they said their farewells. She had taken his gifts from the community and wrapped them in a bundle along with some food and a flask of wine. There was a moment before he departed that John was tempted to stay. The sea was even more spectacular up close. John was accustomed to a view of the water having lived next to the Dead Sea for most of his life. But it lacked the awesome beauty of this huge body of water – a body of water that has no end as some said. John tried to imagine that and then wondered why God would create so much water. “God must love water”, he thought, and that triggered a series of thoughts relating to God and water. We use water to cleanse ourselves before entering any holy place – water must be holy. John was well versed in the history of and applications for mikvah or ritual immersions. It was a key part of the transformation of a gentile into a Jew – immersion in water to cleanse one from the old ways and make ready for a newer – more holy – life. Mikvah was a key part of the daily routine at Qumran. One of the on-going discussions about mikvah was about the proper source of water – only holy water (or “living water”) could be used and that meant water that was from a proper source. Streams and springs were considered the best sources of living water, although John had heard that water from the sea was considered holy. He proceeded to enter the sea while fully clothed. The water was refreshing – certainly more so than that of the Dead Sea as it was warmer and very salty. When his garments became soaked they were heavy and burdensome, so John removed them so far as modesty would allow. He rinsed and squeezed them out before laying them out in the sun to dry. Then he laid himself out in the sun to absorbed its warmth. His mind was torn between two subjects: Tabitha and the power of water. After a while, he was able to put her out of his thoughts. “I don’t feel any different,” John thought. And yet, according to the Law, he was now purer and more holy than he was before his dip in the sea. “It doesn’t make sense. It is not what is on the outside of us that makes us either holy or unclean- it is what is in our minds and our hearts. The ritual water is like ritual sacrifice – it is what they do to change the person that matters. The “purity” that brings us closer to God is the purity of our soul. John wondered if the prophets understood some way that water might purify the soul. His mind found satisfaction in this idea and then switched back to Tabitha. The walk northward along the coast was the most enjoyable that John had ever experienced. That was, in part, due to its beauty, but it was also a result of the change in his personal state. He found himself to be joyful in a way that he had never before been and he searched within for its causes. There were several: first, he had been more focused upon God and seeking to serve God, he had encountered a “soul mate” who he loved at some very deep level, and he had been awestruck several times in a few days. During his time at Qumran he had spent plenty of time focused upon God. It was part of the community routine and the basis for many of their rituals. Discussion of the Torah was probably the single most frequent topic there and the accepted purpose shared by the group was one of service towards God. However, the arrangement had never been personalized for John – the community connection to God was too indirect, too “controlled”, and too focused upon scripture. Now, he was seeking God at the most personal and private level; not to serve the expectations of others or to fulfill the obligations imposed by his community. This desire to connect with God and to honor God’s Will was changing him and bringing him joy. It had been only yesterday since he had been with Tabitha, but it seemed like much longer. He was still only a few miles away from her, but it seemed much farther. He hardly knew her and yet it seemed like they had been friends forever. Whatever this was between them, it was something entirely new to John. “Is this ‘love’”, he wondered. The answer wasn’t easy for him because he had never really experienced love before. He had vague recollections of his mother’s love and his love of his parents. He had a certain affection for Honi as a caretaker and teacher and for Andrew as a friend, but that was nothing like what he was experiencing with Tabitha. And, in truth, he had little experience with ‘lust’ and so he had to work through the reasons why this couldn’t be that. Or could it? When he searched within more deeply he realized that there was something lustful going on, but it was far removed from the BIG thing that was going on. “It must be love,” he concluded and then proceeded to ponder what that might mean. He hadn’t gotten far in that line of thought when he arrived at Sycaminum at the base of Mt. Carmel. “I’m here, why not?” John had heard about the Essene group centered at Mt. Carmel, but he knew little about them. This seemed like the perfect time to find out more. Elijiah was more than one of the great prophets, he was prophesized as the forerunner of the Messiah: "Behold, I will send you Elijah the prophet before the coming of the great and terrible day of the Lord." (Malachi 3:19). Mt. Carmel was the site of Elijah’s challenge to the foreign prophets (to determine whose deity was genuine) and was thus considered sacred from ancient times. Elijah's cave, 1,700 feet above the sea at the northwestern end of Mt. Carmel, became the focal point of several religious sects and other “new age” groups had communities at the mountain’s base. Thus, we read that Pythagoras travelled to Mt. Carmel (~530 BCE) to learn from the Prophets of Moses and other local heirophants including Egyptians ("Life of Pythagoras” by Iamblichus). By 100 BCE, Mt. Carmel was the home of the northern (and largest) branch of the Essenes known as the B'nai-Amen ("Children of God"). One major sub-sect from these Essenes was known as the Nazoreans. They rejected animal sacrifice and the Jewish scripture that encouraged such obsolete ritualization of religion . They used a different calendar (solar based) than the Qumran Essenes (B'nai-Zadok) and had a more open and positive attitude toward marriage and women. But they were similarly focused upon preparing for the expected Messiah although they prepared in different ways. It was fairly easy to tell an Essene from others because of their garments and the emphasis upon white, but in this town, everyone seemed to be dressed in white. As John was trying to decide whom he would approach and make his inquiry, a tall man approached and greeted him. He introduced himself as Prochorus and gave the impression of being almost regal. John liked him right off and introduced himself as being from Qumram. This clearly surprised Prochorus who surprisingly knew about it. “Are you a member of Honi’s group?” “A former member,” John offered. That brought a gentle smile and an invitation. John went with Prochorus to the largest building in town and they entered. It was a synagogue – the first John had ever been in. There were about a dozen men inside engaged in some type of meeting or discussion. They approached this group and its leader looked up at Prochorus and John with anticipation. “We have a guest from Qumran,” Prochorus said with some enthusiasm, “his name is John”. That got everyone’s attention and they all turned and looked with interest. The leader looked at John and cringed his eyes: “John… from Qumran? Would you be the son of Zacharias?” he asked skeptically. When John affirmed who he was, there were murmurs of astonishment and everyone stood to greet him. The leader of this Mt. Carmel group – and it was much larger than the few at the synagogue – was named Achim bar Azor and he happened to be one of the new members of the Nozerim Council. While maintaining his oath to the Council and its secrets, he had led general discussions regarding messianic preparations and genealogy with his subordinates (those present at the synagogue) and they were all aware that John bar Zacharias was widely considered a messianic front-runner. They were also aware that he had been sequestered at Qumran for many years. That he should arrive at their synagogue like this was a shocking and welcomed surprise. It wasn’t long into their discussion and queries before John repeated his denial – he is NOT the Messiah. There was a palpable lessening of excitement among the group – and considerable relaxation. The discussion turned less formal and more friendly until someone asked the big pending question – why are you here? John’s answer was easy and honest: “I don’t know”. The answer seemed to disturb a few, confuse a couple, and interest most others within the group. Achim found it humorous and laughed, cutting off all other commentary as they all looked to him. “Are there any among you who would doubt such an honest answer – who don’t see that God has guided him here?” Those words sank deeply into the group and even more deeply into John; they were a truth he had not realized until spoken by Achim. “Our task, and his, is to figure out why God has brought him to us and to make sure we honor all righteousness.” Immediately, John had an idea about why he was there, but didn’t speak of it. Since he had revealed his lack of short-term commitment to any other plan or promise, John was kept by the Mt. Carmel group for two weeks. During that time he learned of a whole new realm, a complete new philosophy, an exciting new theology, and a different way of life. Opposite the unified and singular nature of the Qumran group, this was a community of diverse and multi-faceted people. Honi had a clear and concrete purpose that bound his group together. Achim had an obscure and abstract purpose: to utilize all human wisdom in the pursuit of all righteousness. Thus, there were Jews and Gentiles, clerics and intellectuals, politicians and businessmen, and even Romans and Samaritans within the community. The Greeks, Persians, Egyptians, Arabians, and a few other peoples were represented. There was one guiding light for all of them – the truth. Most of their time was spent in discourse ranging from formal teaching to “free-for-all” debates. Every day others would arrive or return from other lands and there was a specific arrangement whereby their learnings were parsed, categorized, and integrated. John learned that there were sub-groups within the community including the Therapeutae, Aristotelians, Euclidians, Kabbalists, and numerous others from lands and using languages he had never heard of. It was far too much for him to absorb, but he did learn two important things and he left them an important idea. The first thing he learned was that Judaism is incomplete. At Qumram, it was accepted that everything worth knowing was already written in the Torah and other scripture. The possibility of a new prophet adding to this base of knowledge was considered possible, but unlikely. The Torah is the truth and the truth is the Torah, period. Here, the truth is not written in any scroll, but in everything around us. There seemed to be endless possibility for discovering the truth – and it was assumed that all righteousness was best served by seeking truth. John learned the word given to this idea – gnosticism. John looked around for Prochorus and didn’t see him. He did see that the group was looking at him oddly and he thought for a moment that he might have offended them. Even worse, he thought that he must have been wrong in his believe otherwise Prochorus would be there. The awkward moment ended when Prochorus entered the room carrying a traveler’s pack. The smiles around him told John that they had already discerned what he had believed – he had been guided there to meet Prochorus and that they had some important future together. Prochorus also smiled as he approached to bid his friends peace and long life. They left with sadness as neither believed they would ever return and with some joy because both felt that this was God’s Will. “Where shall we go,” his new friend asked with pre-acceptance. “I have heard about a large lake full of fresh water towards the head of the Jordan River. I have never seen such a thing – have you?” “No, but I have seen a river that some say is like a long lake – the Nile River in Egypt.” “I have heard of it. They say that there are places where one can hardly see the other side.” “Indeed, and when it gets near the sea, it branches into a hundred rivers that I doubt any man could swim across.” As John tried to picture it, he wondered why God wouldn’t prefer that place to this. Then he realized that he was still thinking the old way: God doesn’t care about human boundaries – all of Creation is part of God’s Kingdom. God lives everywhere… in everyone. That thought resonated within him and he repeated it for Prochorus who replied: “Hmm, God lives in everyone… That makes sense to me. But then why do men do so many evil things?” It was the type of exchange that would characterize their relationship; that and John’s reliance upon Prochorus as an encyclopedia and translator. John understood why he hadn’t been sent to Mt. Carmel instead of Qumran – he was well suited to learn what Qumran had to offer and Prochorus was well suited to Mt. Carmel’s teachings. Together, they offered the best of both. Their walk took them through the lower Plain of Esdraelon along the Qishon River and then upland through Sepphoris. They were impressed by the architecture in the new capital of Galilee, but not by its people. It was a “melting pot” dominated by traders, politicians, and prostitutes. They also knew that the Nazoreans were traditionally centered nearby, but had no reason to make contact with them. John mentioned that he had cousins who lived in the area but he didn’t know where. A couple of miles beyond Sepphoris, they entered the village of Cana and found some Essenes who they did make contact with. They had walked almost 25 miles and decided to wait another day to reach the inland sea. The Canan Essenes were hospitable (as was the custom between all Essenes) and the village elder (named Isaac) was rather talkative. He was angrily focused upon the new city of Tiberias. When Herod Antipas decided to build a new city along the Sea of Galilee in honor of his Roman patron Tiberias, he picked a site well known for its hot springs – a favorite of the Romans. There was already a small walled city called Hammat built around the hot springs so the Romans built just to the north of it – over the ancient cemetery. This infuriated the local Jews who refused to enter the new city and deemed it “unclean”. The Roman response was quick and simple – they took over Hammat and its hot springs putting them under control of gentiles. As if that wasn’t bad enough, the gentiles defiled the local synagogue and converted it into an inn. One result of all this was a slow war in Galilee. John and Prochorus were both aware of hostilities within Judea, but neither had known of the extent of “combat” in Galilee. Isaac was clearly a supporter of rebellion and militant action, even though he denied any affiliation with the “kanai” or zealot movement. “They are a bunch of idiots,” he opined, “if they think they can defeat the Roman army. The way to beat them is economically – to deny them the resources necessary to maintain their huge army. If we attack the traitors who trade with them and take their money, then things will change.” “Violence begets violence“, Prochorus added. “I’m not talking about killing anybody – when I say “attach”, I mean economically, socially, and religiously. And we should start at the top – with the damn Temple priests and ‘Jewish’ kings (gesturing puppets)”. One of his friends caught Isaac’s attention and made it clear that he was taking a large risk talking to strangers in such a way. It occurred to both John and Prochorus that they had lived in isolation from the rest of the world and that they had some learning to do. They easily took the wisdom of elders to heart and listened carefully to all they were told by the Essenes of Cana. One of the elders suggested that they stay off the main road between Sepphoris and Tiberias and instead take an older path into Magdela. There, they should be able to join other travelers heading south. The Qumranians were preparing for the Messiah; the Nazoreans were preparing the way for the Messiah. Indeed, that was their name for their preparations – “the way”. In short, their way was to increase righteousness in almost any way that they could since their belief was that a certain “critical mass” of righteousness had to exist before the End-of-Days could commence and the Messiah would be empowered. “Did you notice the way she looked at me?” “Who could have missed it. You must remind her of someone else.” “I suppose I should have told you that I don’t have any money.” “I have enough and am happy to share.” John had no siblings and his friends at Qumran were not like this one. Lacking experience with such, John assumed that what they were sharing was “brotherly love” – a special bond that went beyond friendship. It reminded him of his “relationship” with Tabitha: something that words just couldn’t explain, something unexpected and without reason. However it might be described or named, John thought of it as a great gift from God. Nea (the waitress) was right. Before John and Prochorus finished their food, the whole town became busy and the small inn was definitely the center of the commotion. Neither of them had ever seen anything quite like it, so even after they finished their tea and food, they hung around just to watch the action. But then a tall young man approached and greeted them, “Salome, my friends. My name is Azor; I’m one of the owners of this inn.” After inviting him to join them and introducing themselves, the men quickly moved their discussion to Azor’s reason for wanting to meet them. “My sister says that one of you reminds her of a good friend of ours (although it was obvious that Azor was trying to see which of them and how). If you knew my sister, you’d know that she has that gift – she sees things in people that others don’t. But she had to leave and wanted me to invite you to stay with us for the night.” This seemed odd to Prochorus and his initial thought was that it was some approach to their business – perhaps even unsavory business. On the other hand, he had taken immediate favor of this man and felt like he was quite honorable. Before he had worked out a response, John had accepted the invitation. Then Azor surprised them both when he stood and asked them to come with him to his house; they had presumed the invitation was to stay at the inn. The house wasn’t far away but there was an abrupt change in atmosphere in the short distance. The commotion of the village gave way to tranquility and beauty. The house itself was neither ostentatious nor large, but it was perfectly set with a view over the lake. As they approached, a familiar face met them. “This is my sister Miryam – and this is John and Prochorus, travelers from the Great Sea who have come to see our little sea.” “No Azor, they have come for something else.” Miryam didn’t explain what she meant as she welcomed them inside. There, the visitors were treated to another pleasant surprise. First, the place was much larger than it appeared from the outside – enough so that it was clearly intended that way. Secondly, it was beautifully appointed with artwork and furnishings. And, most impressively, there was a “spread” (banquet) suitable for royalty. The visitors were greeted by two beautiful women who offered the traditional washing of guests. It was a custom that neither man had experienced before – having someone else tend to them in this way. Aside from the awkwardness of this novelty, it was interesting that Azor and Miryam quickly tended to themselves. Then, before they were seated at the “table” (an oval platform that rose a few inches above the floor), Azor spoke a traditional prayer. Immediately after they sat on the beautiful rug with its colorful pillows, food and drink was brought by the same “servants” who had washed the guests. There was a delicious wine that made the ordinary stuff seem like swill and a range of delicacies and treats that would have impressed even the wealthiest. But all that mattered little. Azor and Miryam weren’t trying to impress or influence their guests, they merely wanted to make them comfortable. What really mattered was the probing of Miryam’s inquiries; it was more than direct, it bordered on rudeness. By this time, John had grown more accustomed to people’s inquiries about his family and life and his answers were easier. But Miryam wasn’t about to accept his generalities and slight obfuscations and it seemed like the more vague he tried to be, the more persistent she was along a line of questions. It wasn’t long before she was getting answers that even Prochorus hadn’t yet heard. When he mentioned seeing a priest in Jerusalem who was his cousin, she pressed for more information until he mentioned James. “The son of Joseph, the Nazorean?” When he acknowledged this identity, she smiled. “Do you know his brother, Jesus?” Surprised, he said he did. That brought a smile and nod of acknowledgement from Azor. Miryam explained that Jesus was a very close friend who was living with them – only he was in Bethsaida for a day or two where his mother was living: “Your aunt Mary,” she noted. In a mode of thought that we might term “continuous inquiry”, Jesus rarely passed a moment without wondering the reason for something. He found that this was an unusual thing and wondered the reason for that. It seemed to him that reasoning was among the greatest gifts from God and that our failure to make the best of it was offensive. These and related thoughts rolled around in his mind as he travelled the familiar road around the northwest end of the lake, through Capernaum and on to Magdala. They were all quickly put aside when he saw John. They had yet to have an opportunity during their lives to really be together, but gauged by their greeting, they were both hoping to make up for lost time. What their greeting couldn’t reveal was their common intuitive sense that their lives were destined to be intertwined. After an effusive re-union with John, Prochorus was introduced. When their gazes met, there was another mutual realization of common destiny and instant familiarity. When it was mentioned that he was from the Essene community at Mt. Carmel, Jesus was quite curious about this new friend. But first, they had lots of things to discuss and with Jesus being present, John felt comfortable in telling his entire story along with details about Qumran and his awareness of the Nozerim Council. And, of course, he related his meeting with James and everyone was moved by how much their meeting had impacted John. “Your brother is a very special man,” John opined. Jesus readily agreed. Without hesitation, John offered his vow and each in turn, followed. It was a solemn moment because each of these people had a sense of its greater meaning. They didn’t discuss that, but instead sought direction from God: each seeking from the others some common vision and purpose. The first thing that they agreed upon was the inherent contradiction ahead – they must each honor their own destiny while working together to honor God’s greater purpose. They would have no leader and no organization. Each had faith that everyone else’s choices in honoring their vow would bring them together as needed. But there were practical concerns and they worked through some of the basics, including the name for their group. It would be called “Deh’rek Neh’der “ or Way of the Vow. It would be a secret name known only to those who had been invited by the entire group and then took the vow before and along with all the others. They would invite James into the group, but had no one else in mind. Perhaps, in time, it would become apparent that others belonged. Their functioning would be informal with a simple aim: to manage what others knew about them, especially the Nozerim Council. Azor reported directly to Council, John communicated via Lazarus, Jesus through Nicodemus and Zebedee, and Prochorus through Achim (and whoever his contact was). They weren’t sure how James was being watched, but assumed that he would know who it was. By coordinating their information, they could ensure that they controlled their own futures instead of having the Council manage their lives. Of course, there was another member of the group whose role was less clear, but that didn’t bother Miryam at all. “I think my task will be to remind all of you that there is a large group of us who have been kept in the shadows and hindered in the pursuit of the divine.” She let that thought settle in for a moment and then added: “I can also see that you’ll need a new way to stay in contact other than our traditional methods. I think I have a way to accomplish that – and involve women in silent yet important ways.” “Well“, Azor joked, “there’s no doubt that at least one woman will have a voice in our group.” Miryam looked at Jesus and knew that they both understood that she would have more than just a voice. God wants a connection with us and for us to seek that connection. God created us for a purpose – a divine purpose – that we should be able to ascertain. God has given us everything we need in order to make the connection and grasp our purpose. God has also given us the ability to choose other paths – living without the divine. God rewards those who make righteous choices with what has been called “God’s kingdom”. God’s kingdom is not a place or governed realm, but is something greater. Our first steps are within ourselves: to choose, change, and conform. We must choose to seek God with open, honest, and pure hearts. We must change ourselves to be worthy of the divine. We must determine what comprises righteousness and conform our actions to that. As they talked of these things, it became apparent that each of them had some direct experience with a divine connection. There was no need to explain the details because as part of the shared experience they each knew that it was deeply personal and very profound. Talking about it was problematic in that we generally lack a language for it. Instead, each of them was able to sense it in the others. Even without really discussing it, they all understood that their mission was to help others find and realize the divinity that they each experienced. What they inherently understood was that righteousness itself is a gift and that we must ask for it, deserve it, and then appreciate it. The gist of their mission was to figure out how to best help others choose, change, and conform. It would be almost two months before the group would meet again in Jerusalem. In the interim, Jesus and John both had something specific that they wanted to do: John wanted his time alone and Jesus wanted to visit Mt. Carmel. When the two revealed their desires, Prochorus made a bold decision and offered to go with Jesus. John favored the idea and encouraged him to introduce Jesus to Achim. A short glance told Miryam that she was going with Jesus and leaving Azor to “mind the store”. Fate is the most mysterious of all beliefs: if we believe in it then our belief may be its cause and if we don’t believe in it, then we ignore its doorways and avenues. The idea of “free-will” is ancient, but still wasn’t popular in the time and society of Jesus. Yes, God had presented us free will, but it was as much a curse as a gift. Free will demands that we think for ourselves instead of relying upon someone or something else to tell us what is right. Judaism suffered from the same paradox as other religions – it was forced to acknowledge free will as a divine grant, but then it sought to remove it by telling its subjects that they should not think for themselves and, instead, allow scripture, scribes, and priests to do their thinking. Midrash conveyed that this was God’s way of testing us – without free will, righteousness has no meaning, so free will is somehow essential to righteousness. Thus, God’s grace in granting us free will must serve the fate God intends and that fate must be centered upon righteousness – and particularly upon our choosing righteousness. Jesus certainly agreed. He had often thought how fortunate he had been to have a father like Joseph and couldn’t imagine anyone else even coming close – until now. The idea of God as a “father” was not new, but it had never resonated with him as it did following Achim’s words. Father’s (at least ones like Joseph) always want what is best for their children. That must also be true of God. As that thought began to develop, Miryam spoke: “Men spread their seed without any concern about where it might take root and then often abandon their crop as if it is nothing. I would rather that God act as our mother.” Achim smiled and was delighted to meet a woman who had such thoughts and wasn’t embarrassed to speak them. Eida was the strangest young girl Jesus had ever seen or met. Her hair was a beautiful golden color, her eyes were a brilliant blue, and she was tall and lithe. When she looked at you, you felt as though she knew everything there was to know about you. When she looked at Jesus, they both saw something they had never before seen – a reflection of their own gaze. They became instant “soul mates”. With Miryam, it took just a little longer. From the moment they met until it was time for Jesus and Miryam to leave, Eida wanted to spend every minute with them. On the day of their departure, Eida asked if she could go with them. “You would leave your father?” “Of course not, if I go with you he will come also.” “What does he say?” “That it wouldn’t be safe or prudent. I hate that word. If God only did what was prudent, I don’t think any of us would be here.” When Jesus considered it, both Eida and Timothy were right: being prudent didn’t seem to be high among God’s priorities, but it wouldn’t be safe for them to travel to Jerusalem. After they walked a while in silence, Jesus suggested that Prochorus stay with John. Prochorus wondered why. “John will need you more.” Jesus didn’t offer any explanation and Prochorus didn’t ask for any. He did ask, “And what about Crescens?” “We will decide after we meet with John.” This quality of Jesus – that he became terse when deep into thought – was one that Prochorus would observe more and more over time. Their talk and company was such obvious relief for Tabitha that the group lingered and as it became later than one should travel, they were invited to spend the night. When they talked about John, Tabitha’s interest peaked in a manner that made her feelings obvious. And, when they talked about her plans, she made it clear that she didn’t have any. “Why don’t you come to Jerusalem with us?” Miryam asked without reservation and then explained that she would be welcome with their friends and family. When she assured her that John would want to see her, the plan was readily accepted. A quick glance at Jesus and the others confirmed their acceptance or agreement – something they would have to get used to over time. Life was going on all around Jesus, and so goes our story. But within his mind, bigger questions dominated and the answers were more than confusing. Does God create fate? If everything that happens is pre-ordained or controlled by God, then free will is worse than an illusion – it is the worst joke ever. But then to accept that God is not involved in the unfolding of all things is to acknowledge that we must take on the responsibility to choose a proper future because we are the only beings around that seem to fully grasp the concept. If God creates everything, then we must accept that God created evil – one of the most difficult beliefs arising within scripture. But, if God didn’t create it, then evil exists unto itself. Now there’s a scary thought. But which would we rather have – a God which creates evil, suffering, and injustice or a reality where such things just happen? When Tabitha informed her friends in the village of her plan, there were some doubts about its wisdom. However, one of the elders wanted to buy her house and made her a good offer – thus making the plan a one-way deal. Tabitha sold or gave away most of what remained from her grandfather’s things and by mid-day, the group of six was on their way. Even carrying all of Tabitha’s possessions, they were in sight of Jerusalem just over three hours later. Not wanting to fight the congestion of the city, they walked around the west end outside the wall (on the road that led to Bethlehem). They passed the Pools of Solomon and the magnificent towers that Herod had built near his palace as they walked around to the south end of the city wall. At the southwest corner of the wall was a newer gate commonly referred to as the “Essene Gate” because it entered the city in the “Essene Quarter.” As they entered this gate they were pleased to see that this part of the city remained mostly unaffected by the boom that plagued the rest of Jerusalem. The one aspect of overcrowding that couldn’t be avoided was the general stench that wafted over the city. Although they had family and friends who would have welcomed the entire group to stay with them, they went instead to Miryam’s house. She and Azor owned a house that they used when they visited Jerusalem for business or festivals and otherwise left it in the care of an elderly couple who they considered friends. It could easily accommodate them and was routinely prepared for unexpected visitors. White-haired Boaz and his dark-skinned wife Eppy were obviously delighted to see Miryam and welcomed the others as if they were family. They quickly set about making everyone comfortable as if well practiced at it. Jesus was now well accustomed to the lifestyle favored by Miryam, but he still felt uneasy with its opulence. This “second house” was worth far more than the vast majority of people could afford to live in. The meal they enjoyed could have easily fed twice as many. He knew that Miryam was generous and charitable, he knew that she and Azor worked hard to run their businesses, and he knew that they were far from extravagant. But, he had some trouble reconciling the disparity of their wealth against the overwhelming poverty that generally prevailed. He also realized that compared to some, Azor and Miryam were poor. Is wealth a sign of God’s favor (as many believed), he wondered? They weren’t sure when John would arrive, but they all had plenty to do in the city. Jesus wanted to spend some time with other family and friends and introduce Miryam to several who had yet to meet her. And, of course, they had to get word to James so that they could fulfill their primary mission. Every night brought a different group of people together at the “white house” as they now called it as it was newly white washed. The large second floor was accommodating as was Miryam and her friends. Boaz and Eppy were an odd couple; not just because of their racial difference, but because of their personality differences. As usual, Miryam was neither embarrassed by nor hiding the nature of her business and she openly talked about Eppy as one of her most favored “companions” (prostitutes). Apparently men made special trips to be with this exotic and beautiful woman and she earned a premium price right up to her retirement. It was a surprise to everyone in Magdala that Boaz – the local curmudgeon - soon made it clear that he wanted Eppy as his wife. It surprised everyone even more when they actually married and it worked out so well. Marriage took the “edge” off Boaz and Eppy quickly adapted to an entirely new lifestyle. You simply couldn’t miss their affection for each other. The guests at the white house were always delighted with Eppy and her open friendly nature. Seeing that Miryam treated her like a good friend they were naturally curious about her background. And, for sure, they were invariably taken back by the direct and open answer. It became somewhat of a game for the group to watch the reaction of people when they first heard the story. Then, there was the second reaction when they looked at Eppy and saw her disarming smile that said, “It’s alright, you don’t need to be embarrassed for me.” And finally, there was the final stage when people’s curiosity just couldn’t be contained and they tried to politely pursue some detail of Eppy’s life as a prostitute. The other interesting aspect of that process was Boaz’s part; a part that he seemed to relish. People were generally unsure how to deal with the situation. Some weren’t even aware that Miryam owned the house and assumed that Boaz must be their wealthy host. It was unusual enough for him to have a dark-skinned gentile wife, but after learning that she was a former prostitute they were more than confused about how to act. Boaz liked to play this out and push the social awkwardness of the situation. Depending upon the person’s reaction, he would try to work at the weakness of their attitudes or mores. Occasionally this would lead to rather ribald frankness and other it focused on standard ideas about the status of women. With the unusual position or status women were given in the house, the environment presented real challenges for some. Miryam wasn’t about to be treated like some “second class citizen” in her own house (or any other) and she joined the men in discussion and position. Boaz and Eppy interchanged roles as both were always welcome to sit with the group and speak their ideas. One could only think that they were friendly hosts instead of “servants” employed by Miryam. Jesus added to the oddity by willingly performing duties generally reserved for women or servants. As time passed, other visitors got in the same mode and the house became a center of cordial egalitarianism. That made it seem even stranger to new guests. Over the two weeks that the group waited for John, a new social structure was created where various family and friends came together in a loosely woven network. The attraction was twofold: both men and women were welcome to speak freely together and Jesus was often put in the role of teacher. He spoke openly of his ideas about God and a different way for people to view “religion”. He also offered new and seemingly radical interpretations of scripture and some awkward observations about social injustices. But it wasn’t just what he said, it was how he interacted and spoke that stood out. His quiet confidence was now apparent to all. When he spoke it was with the unshakable authority of one who has no uncertainty. He didn’t speak in absolutes or in platitudes; he listened more than he spoke. But because he listened well, his words seemed to always address the deeper question or the bigger issue. More than anything, his growth was based upon empathy. Ever since he was very young, Jesus could feel the emotions of others: he was empathic. It was both gift and curse and for the most part he learned to put the ability aside. But recently, he had begun to utilize his ability in communication and interaction with others. Then, he found another related ability that worked with his natural empathetic skills in a synergistic way: intellectual resonance. Thinking back, he realized that he had also possessed this skill at a young age, but had never understood or developed it. It surfaced again in discussions with Azor and Miryam where he found that his mind would follow their manner of thinking. He didn’t know their thoughts, but once they started a train of thought, he could reach its conclusion as soon as or even sooner than they could. Recently, he had found that there were times when he could complete Miryam’s thoughts even when she couldn’t. For example, if she was trying to figure out the meaning of some passage in scripture, he could follow the line of reasoning, reach the same point of confusion and find a way around it. More and more, Jesus was working to develop this skill with others. Like free will, it would be both a blessing and a curse. (Click here to Continue to Part IV). Most prophecies hold that the End of Days will come before the year 6000 on the Jewish calendar – our year 2240. It is hard to imagine that many of the stories regarding Julia are true, but one thing is clear: there has probably never been a worse wife in human history. It was a popular notion or joke among the Gentiles and Romans that the stodgy and aloof Jewish priests preferred sheep over women. The oath of membership required more than the keeping of the groups secrets, it required that those who were forced out or who chose to leave live very ascetic lives. See the Mandeaen reference “The Book of John the Baptist”, chapters 26 & 27, where we are told that the B'nai-Amen ("Children of God") are the Mount Carmel group of Essenes. The Qumran Essenes believed that God would forgive all of the chosen people who repented. Their “Manual of Disciple (IQS 3.7) states, "It is by a spirit of holiness of the community in his [God's] truth that he is cleansed from all his iniquities. It is by an upright and humble spirit that his sin can be atoned." Legend holds that Matthan, a priest from Bethlehem, and his wife Mary had three daughters (during the reign of Cleopatra). They were (in order) Mary, Sobe, and Anne. Mary had a daughter named Salome (a midwife); Sobe was the mother of Elizabeth; and Mary was the mother of Jesus. Our word “baptism” comes from the Greek and is only loosely related to the Jewish “mikvah”. A process called “gerut” that also involved circumcision and specific sacrifice. John would learn that within this group “all righteousness” was analogous to “God’s Will”. Not to be confused with theologies derived from this concept.